Seriously? Yes, I saw this pinned on Pinterest (originally from Narcissm is Necessary) and knew that we had to try it! 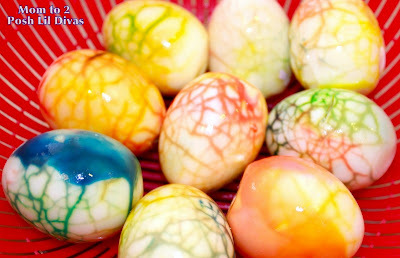 The just looked so cool and are perfect for Easter! 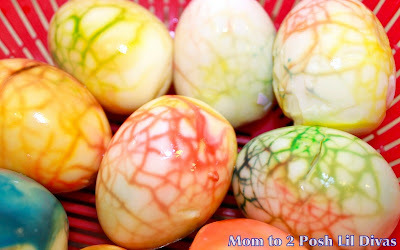 How cool are these eggs? They were super easy too! 1. Lightly crack your hard boiled eggs. You want to crack them all over but keep them intact. 2. 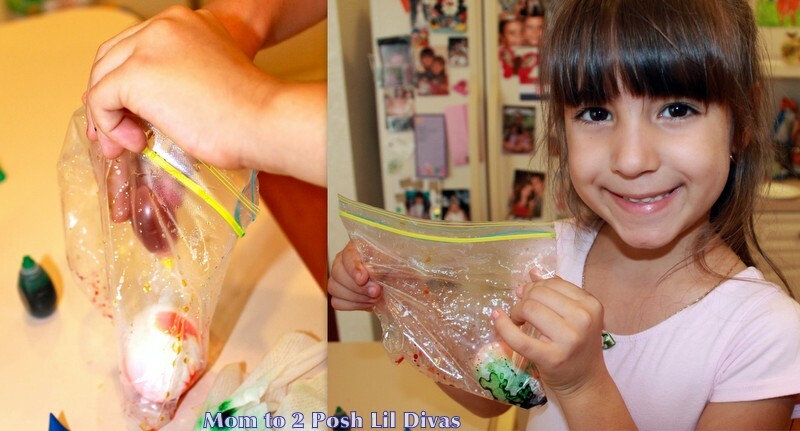 Put egg into ziplock bag. Even the shells look fabulous! 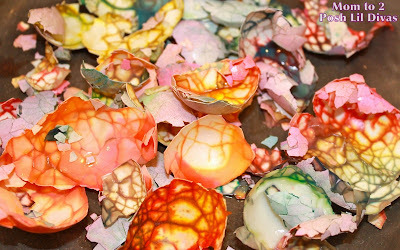 Let sit for a few minutes (we just did about 10 mins from the time we colored our final egg) and then peel the shells off. 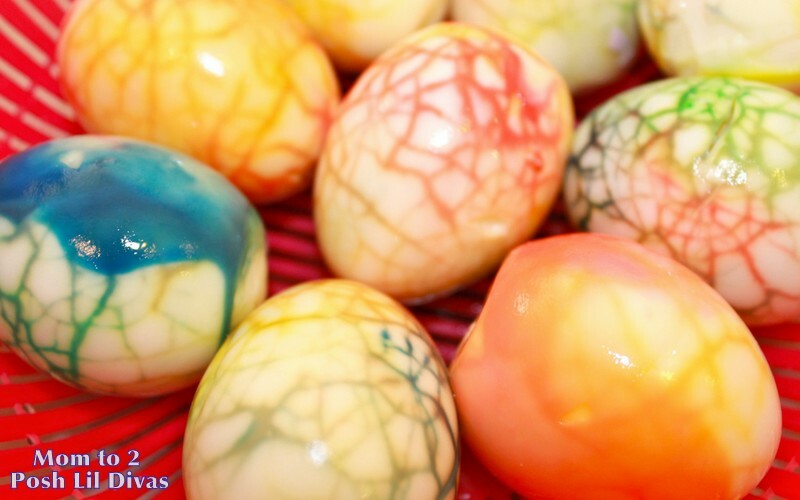 The original post suggested 30 mins and she also used vinegar to rinse the eggs & seal the color but I didn't do that and our eggs came out colorful, bright & fabulous! 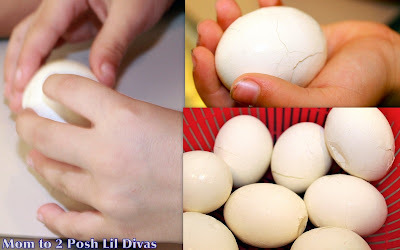 The Lil Divas and I were oohing & ahhing as we revealed each egg. The eggs came out so bright & colorful. Each one having it's own uniquely colorful marbelized design. Even the shells were gorgeous! This was super fun and easy to do! 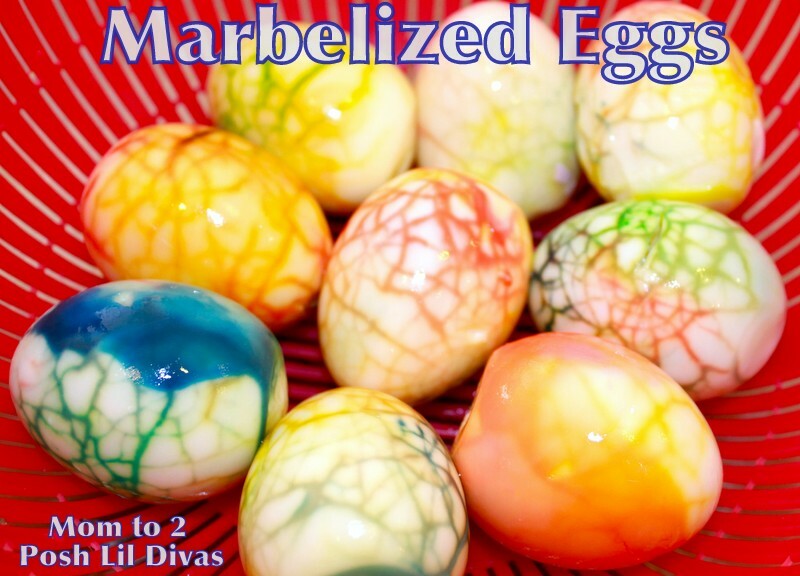 Have you ever made edible marbelized eggs? Those look fun to make. Next year this will be on our list. Very interesting patterns! We are done with eggs for this year, but I hope I can remember to use your know-how for next year ;) Happy Easter! These are so awesome! I love how simple it is, too. I wonder if you can save the shells until next year. I saw a post about mosaic eggs, pasting shells from one onto another... the shells from these would be beautiful on a plainly colored egg. Oh, I have never seen that! I saved the shells thinking we could use them somehow...... they were just so pretty I couldn't chuck them, yet! Not sure if they'd last a full year though. I LOVE these so much! Thank you for the idea, and for linking up to the Weekly Kids Co-op! They did come out nice! Mine this year are sort of hard to get out of the shells. I really like this idea and will definitely try it. I love this idea! We are done with coloring our eggs for tomorrow, but I see no reason not to play easter for the next ten days. We will definitely be trying this in the next few days!